At Arc Digitech, we specialize in helping small and medium-sized businesses with digital content writing services. With so much content being posted online every day, it can be easy to fall into the trap of producing content just for the sake of it. But it has been proven many times that rushing content can result in digital marketing campaigns floundering. Producing a lot of material that is of low quality or not an integral part of a coherent strategy is not the best way to market your company. When it comes to inbound marketing, we like to think of it as a marathon not a sprint. With strategic planning, high-quality content and a high-performing website, your company will see digital marketing results that you did not think were possible. Take people within your target market, lead them to your website or social platforms, educate them about the industry and your products, and convert those people into customers. Through our content writing services, you can navigate that path with ease. As the top content writing company in India, we are always at the forefront of change and innovation. We assess the latest trends, stay on top of search engine algorithm changes and choose the best strategies for our clients. We understand that many companies do not have the scope for an in-house digital marketing team. It is why we are happy to connect you with our team of top content writers, marketing experts, and social media gurus. By working with the best in the business, you will be able to craft marketing campaigns and put out quality content consistently. Producing content is not only about being factual, adding relevant keywords and filling out word counts. Potential customers have so many sites they can visit. If you want them to visit yours and become a regular reader, it will require engaging, readable and informative content that is relevant to the industry. As the best content writing company in Pune, any product written for our clients is crafted with the utmost care and quality. Every topic is thoroughly researched, while our content is exciting and well written. Consumers are savvier than ever. Your website should always have something to say, not just items to sell. The site can be a key element of an inbound marketing campaign, provided it features high-quality content that consumers find engaging, relatable and informative. Content should speak to their persona, show that you are aware of the issues they are facing, and discuss how you can help deliver solutions. We employ experienced content writers and industry experts that help us create quality content for our clients. Every site page or product description that we write balances the requirements of search engines and your target market. Our website content is authentic, well written, SEO optimized and properly researched. Having an active blog on your website is no longer optional. Businesses face more competition than ever – both to attract new consumers and keep them loyal. Maintaining a blog that publishes relevant and interesting content every week can help achieve multiple goals for your company. It can help you maintain a high place in search engine results pages, as Google tends to prioritize sites that regularly publish new and engaging content. 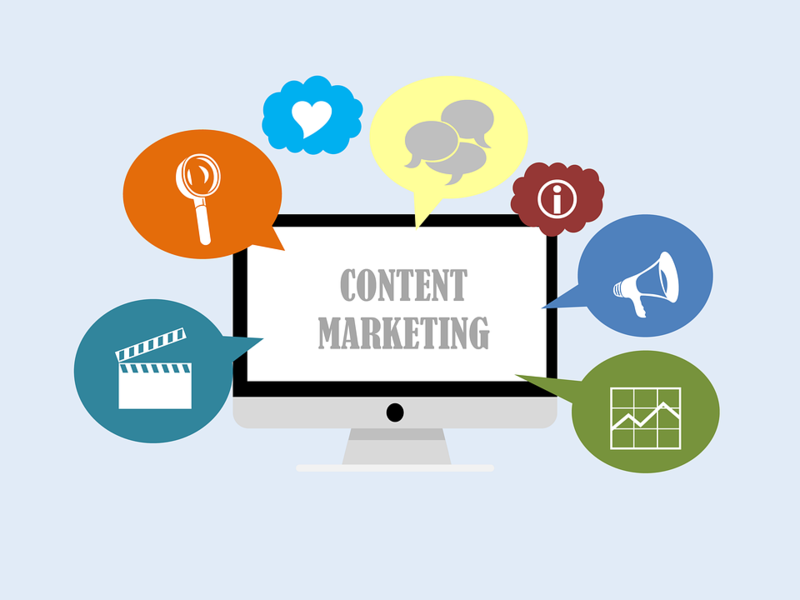 Having the top blog writers in Pune working on your content will also help you engage with your target market. The articles will be relatable, relevant to your niche and properly researched. If your website is the way you inform people about your products and services, think of your social media profiles as a way to engage with real people who may buy what you are selling. Companies can boost their brand image through social media, engaging with customers, celebrities and other businesses. It is also an excellent avenue for helping customers if they are experiencing any issue with a product or service. We have a talented team of social media experts who can help get you set up on this front. At Arc Digitech, we can create social media profiles for you on all the major networks including Facebook, Instagram, Twitter, YouTube, Reddit, and LinkedIn. With the best social media experts in India building up your profile, engaging with customers and posting compelling content, you will be able to grow your social presence in no time. well written and unbiased way. Unlike promotional material, press releases are highly specialized in how they must be formatted. They are also neutral in tone, merely informing the public about the new products, services, discounts or locations your company wishes to announce. With our talented press release writers, you can get information about your business published at major news organizations, websites, and blogs in the area. Through a sign-up page on your website, or customers creating accounts, you should be able to amass a sizeable email list for your business. Our talented email marketing experts can help you leverage that list to keep those people engaged with your business. We can help you craft attractive emails that are informative and enticing to customers. When you want to advertise a new product, service, discount or some other news in a promotional manner, an email blast is a great way to communicate. We can work with you to create high-performing email marketing campaigns that will get more people onto your website with a mindset to make a purchase. Arc Digitech specializes in content writing services for businesses in Pune and the rest of India. If you are hoping to improve your social presence, boost your site ranking or nurture leads, our team of talented writers is here to produce the content you need. Get people to accept your content for guest post. Our engaging content will not only help you secure a backlink but also get people to visit your website. Descriptions are invaluable in getting customers to checkout your products. Our product descriptions will help increase your conversions.